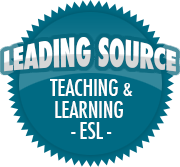 ESL Activity: Five Things | So, You Think You Can Teach ESL? At the start of the new year, my ESL students and I have decided to start using blogging as a form of exercising their writing and reading abilities. I have asked both students to write a short paragraph about five things that they like accompanied by five photos. In order to participate, here is my take on the assignment.